We’re pretty lucky in Virginia Beach to have our choice of a wide variety of cuisines, representing numerous cultures and disciplines. 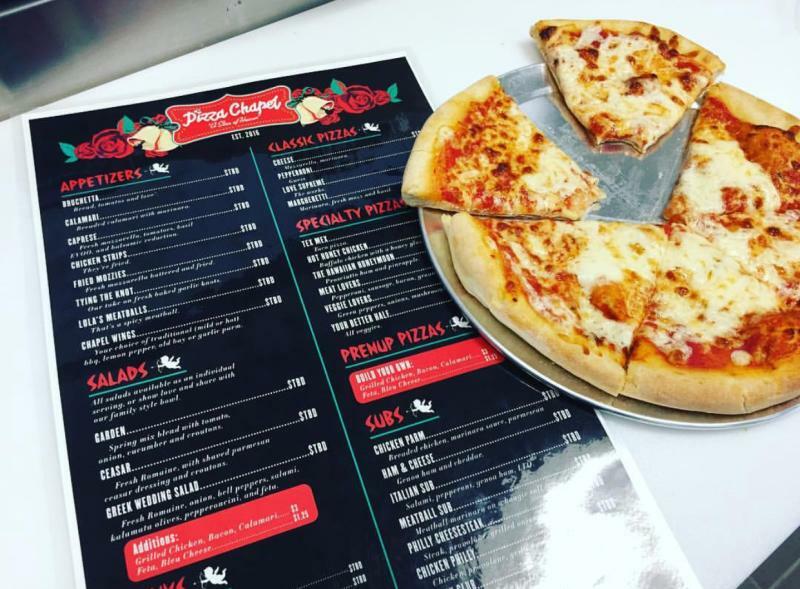 From delicious pizza and melt-in-your-mouth burgers to locally sourced, four-star dining, we really do have it good here in our coastal city. When overall experience is what you’re looking for though, sometimes you want to go beyond a white tablecloth dinner service. Here are a few of our favorite themed spots to take your dining experience to a new level. Step back in time to our country’s Golden Era with brunch and a morning cocktail at the vintage naval-themed Anchor Allie’s Bistro, with a location in both the Chesapeake Bay District and Town Center. For a unique take on an omelet, we recommend their Bridge “Bomblette,” which combines seasonal local berries with creamy brie and a drizzle of honey, making for the perfect combination of sweet and savory. Their breakfast cocktails change regularly, but we have yet to try one we haven’t loved! While Pocahontas Pancake House does serve up a delicious breakfast at the Oceanfront, it is the decor of the restaurant that makes it such a big draw for families. 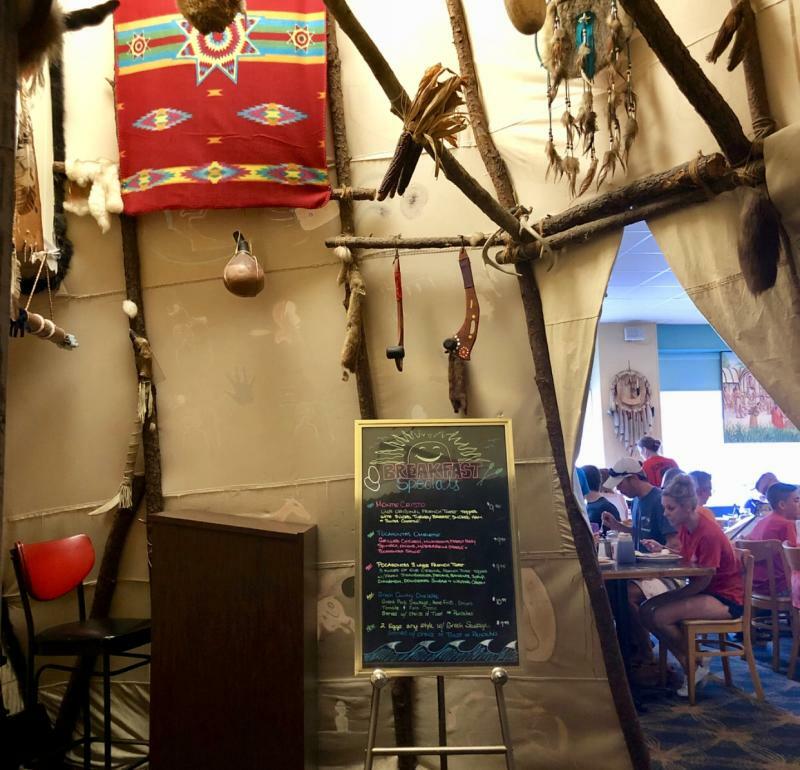 Voted “Best Pancake House in Virginia Beach” by the Food Network, Pocahontas is known for their Jamestown and Powhatan murals as well as the full-sized teepee located right within the dining room. 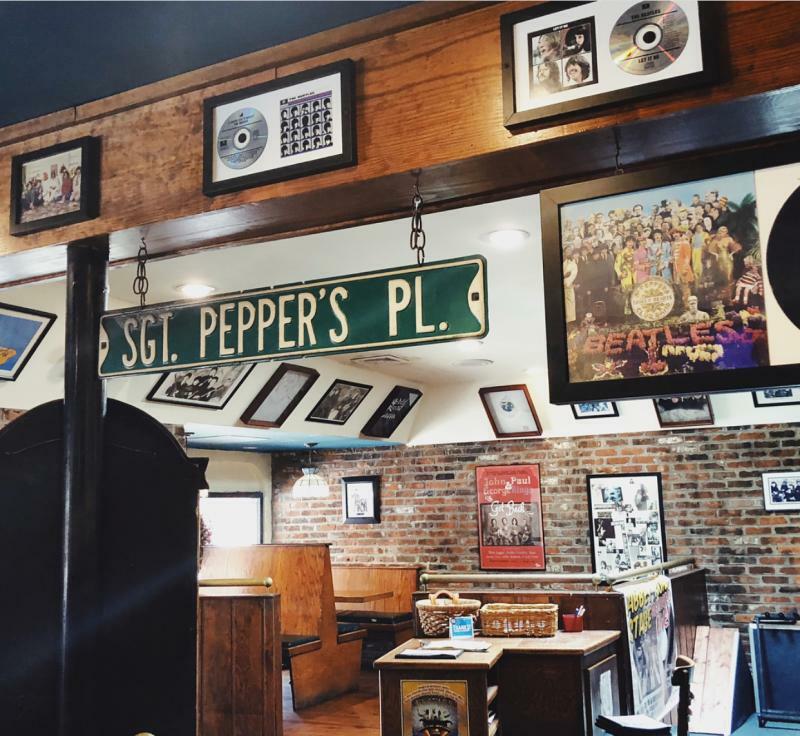 From the murals adorning its outer walls to the interior decor and menu, this pub is entirely Beatles-themed from top to bottom. Opening in 1982, Abbey Road has been a longtime staple at the Oceanfront, and for good reason. 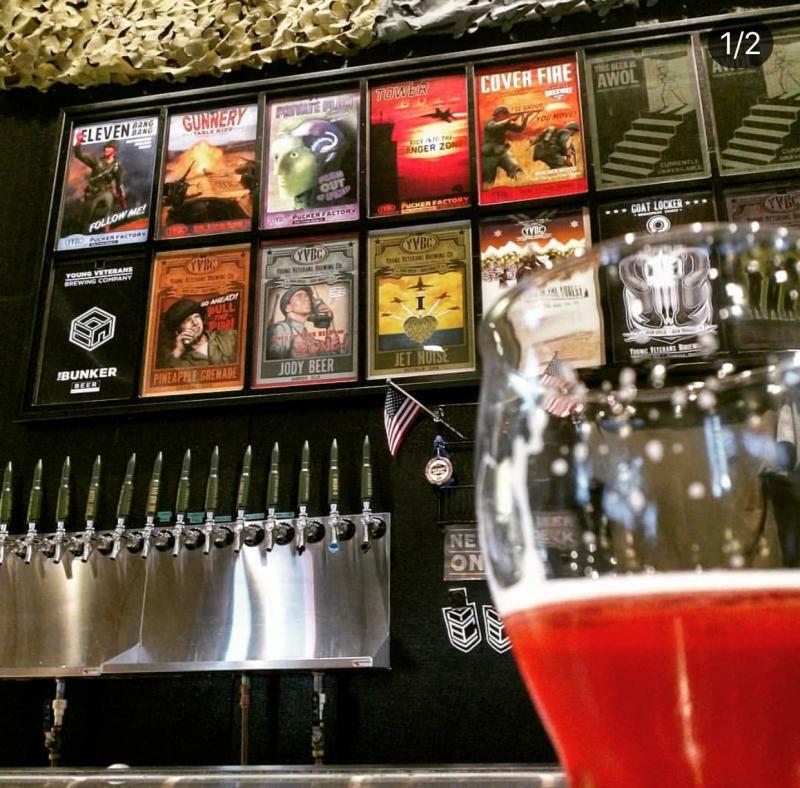 With 80 beers on tap and a must-try menu, this pub is a great change-of-pace when at the Oceanfront. Don’t miss the Beatles Breakfasts, every Saturday and Sunday, featuring dishes like Prudence Pancakes and Eleanor Rigby Revolutionary Omelettes. Given that it used to literally be the Virginia Beach Wedding Chapel, Pizza Chapel’s wedding theme fits it perfectly. With the original pews, floral bouquet wallpaper, and a collection of record album covers featuring popular first-dance songs adorning the walls, this really does feel like a trip to the old chapel. Except, instead of getting hitched, we’re expressing our love to some of our favorite local pizza. Try the Hawaiian Honeymoon pizza, with prosciutto and pineapple, and don’t forget the “Tying the Knot” garlic knots!